Here in the heart of Lakewood, our goal is to keep you active and fit! We have large natural parks, big grassy parks perfect for disc golf and soccer, neighborhood parks, trails, art, and bike and transit connections! Along the Alameda Corridor, we have a number of sustainable transportation options. 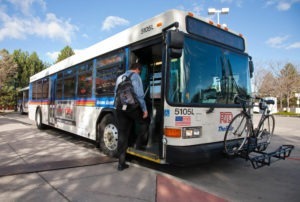 Key transit service includes RTD’s Route 1 and 76. The Route 1 provides transit service along the Corridor connecting our shopping and working areas to the East and West. The Route 76 provides service to the North and South on Wadsworth Boulevard. The Route 51 provides service to the North and South along Sheridan Boulevard. Both the Route 76 and Route 51 quickly connect you with the W Line light rail service to downtown Denver. For more information on all transit routes, visit the RTD Schedules page. 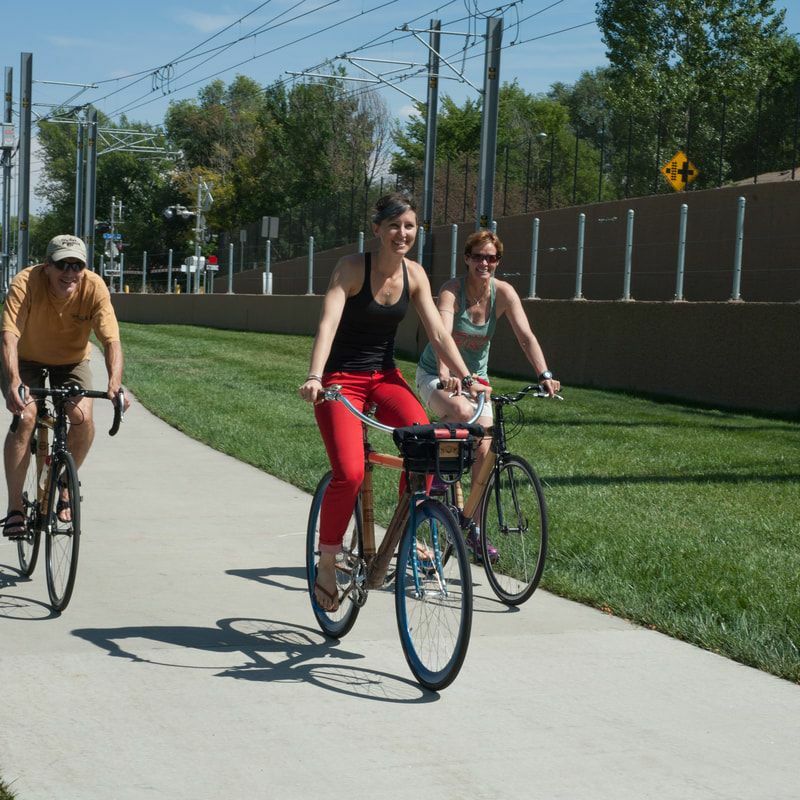 The Alameda Corridor provides a spectacular boulevard-style biking experience with paved bike paths the full length of the corridor that connects our parks, shopping and dining areas with the foothills and open spaces to the west of town. Additionally, our bike routes are regionally integrated to ensure that you have the option to go “car free”. The City of Lakewood Bike and Recreation Map shows all of the bike routes and trails in Lakewood. The heart of Lakewood provides over 1,000 acres of parkland, natural areas, and walking trails. Our largest park is Belmar Park a natural park area where you can spot wildlife and birds. O’Kane Park, Addenbrooke Park, and Ray Ross Park provide large, grassy areas where you can enjoy sports and picnic activities. Ray Ross Park and the Lakewood Plaza also have spray grounds for added fun during the summer months. For information about public parks in the Alameda Corridor and throughout Lakewood, visit the City of Lakewood’s A to Z Park listing.